In countries, like China, France, Kazakhstan eating horse is no big deal, and even considered a delicacy. But in other countries such as U.S. and the U.K., the idea of horses as a source of food is considered a big challenge, even for adventurous meat eaters. A survey carried out by the Korea Racing Authority, found that about 65 percent of Koreans are willing to eat horse meat, which was a higher percentage of those surveyed from France, Belgium, and Italy. What about eating a horse meat in Jeju, Korea? Historically, Jeju people have respected horses for many reasons. Horses have been a very important source of transportation and communication during wars, and for commerce. Their skin, fat, milk, bones, hair, urine, and feces were put to use, whether as food or for military or medicinal applications. In Jeju, horses are now used for tourism, entertainment, and meat. Even, creams and oils made out of horse bone and fat are well known for both medicinal and cosmetic use. Before the Mongolian invasion of Goryeo in 1218, horses were used mainly as a means of transportation. Also, horse breeding became directly related to national security in Korea. The government created a large ranch in Jeju island and used the animals in times of war or other emergencies. The Mongolians created massive ranches for their military horses and ever since then Jeju has been Korea’s largest horse supplier. There is a Jeju’s old saying: “Send a horse to Jeju, and send a man to Seoul,” meaning that the island’s weather and environment are ideal for raising horses, and its people have outstanding skills breeding them. During the Mongolian invasion, Jeju people found that Mongolians slaughtered and ate weak and old horses and from then on, eating horse meat is said to have spread throughout the island. 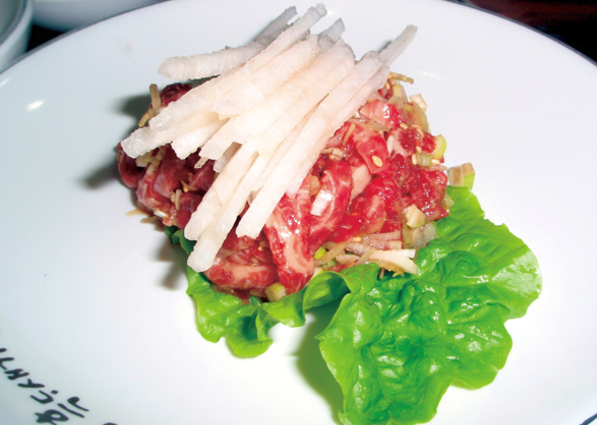 Throughout Korean history, horse meat was served to the king, as it was seen as a prime delicacy. During the Goryeo Dynasty (918-1392), Koreans held feasts with horse meat to honor the Yuan envoy. 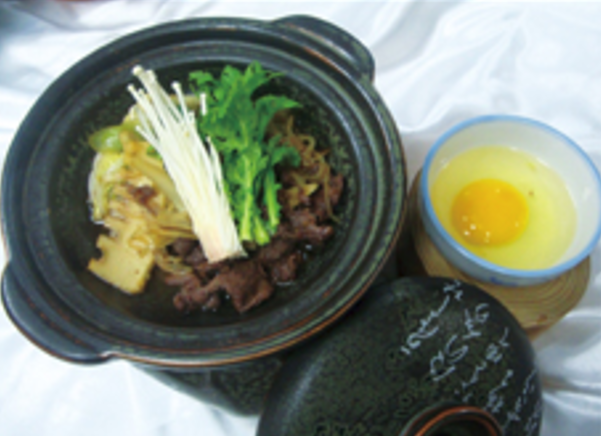 Jeju presented horse meat jerky to the palace’s ancestral rites table during the Joseon Dynasty (1392-1910). During Japan’s colonial occupation of Korea, the Japanese built a horse meat processing plant in Hallim and manufactured canned meat as war supplies during the Pacific War. Nearly 85 percent of the horses are raised and slaughtered on Jeju Island, almost all for human consumption. 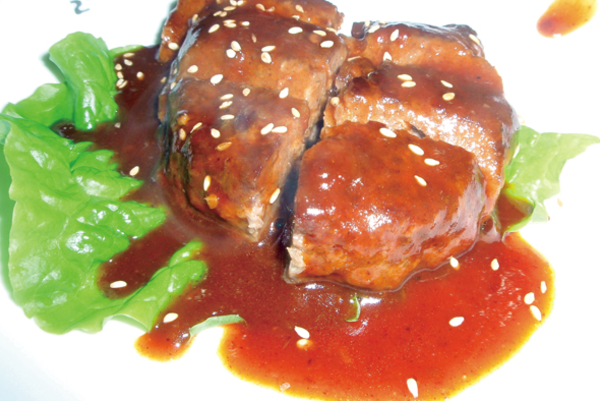 For avid horse meat eaters, horse meat is considered a local delicacy in Jeju. 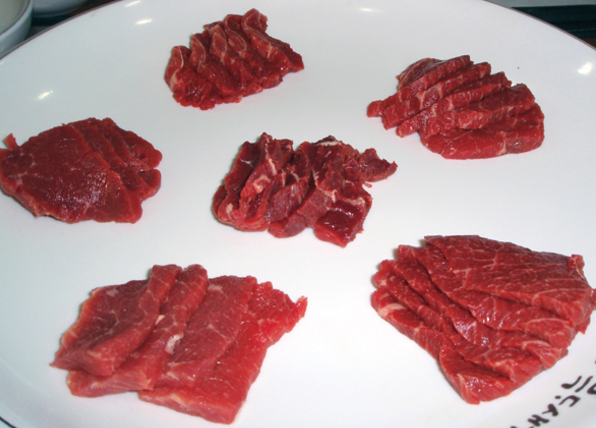 Horse meat is high in protein, but low in fat. As it has only 4.4 grams of fat which contains one-third the fat of beef, horse meat is strongly recommended for those having a diet. Horse fat quickly dissolves in the human body because the meat contains high levels of unsaturated fatty acids. It has high levels of unsaturated fatty acids like α-linolenic and monounsaturated fatty acids. It is especially rich in linolenic acid and omega-3 fatty acids like DHA, which prevents arteriosclerosis. So it is highly recommended for children and pregnant women. Horse meat is particularly loved by men as being known as a vitality, energy food. It is caused by the fact that horse is one of the strongest animals on earth. 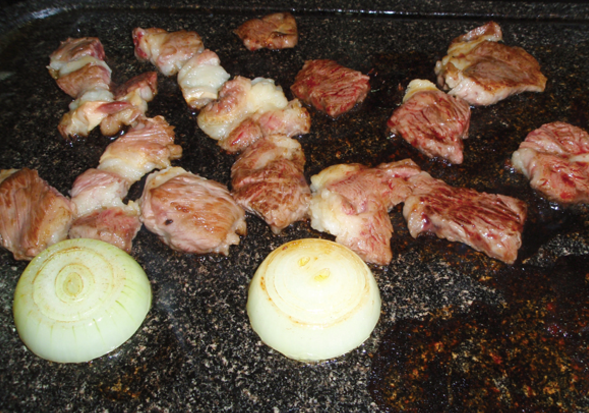 Horse meat is served in a variety of ways from chopped or sliced raw meat, barbecue to broiled or bone soup. In fact, from head to tail, horse meat has nothing to waste.